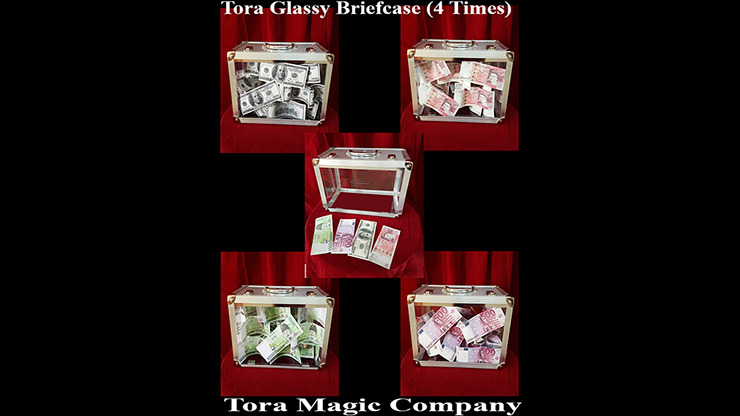 This product has been designed and produced at Tora Magic Company. At first the magician shows a glassy briefcase that is totally glassy and the audience can see into it easily. Then with a gesture the briefcase filled by USD bills. After production of bills; you bring the bills out and then you show the empty briefcase again. Then the briefcase filled by spring flowers. Of course you can appear other things from this briefcase too. For example you can appear the bills two times or two times flowers.